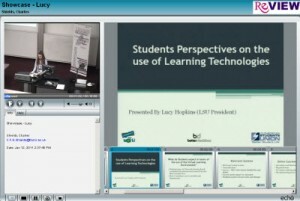 One of the most anticipated and best received presentations at this month’s E-learning Showcase was from Lucy Hopkins, President of the Loughborough Students Union, on student expectations and experiences of learning technologies. Click on the screenshot to watch the ReVIEW capture of her presentation. You might also want to refer to the NUS report, commissioned by the HEFCE Online Learning Taskforce, on Student perspectives on technology – demand, perceptions and training needs which was published in October last year. "I wonder if you have time for a quick survey?" Yeah, I know, not the words we like to hear when we’re in the middle of a Saturday shop. 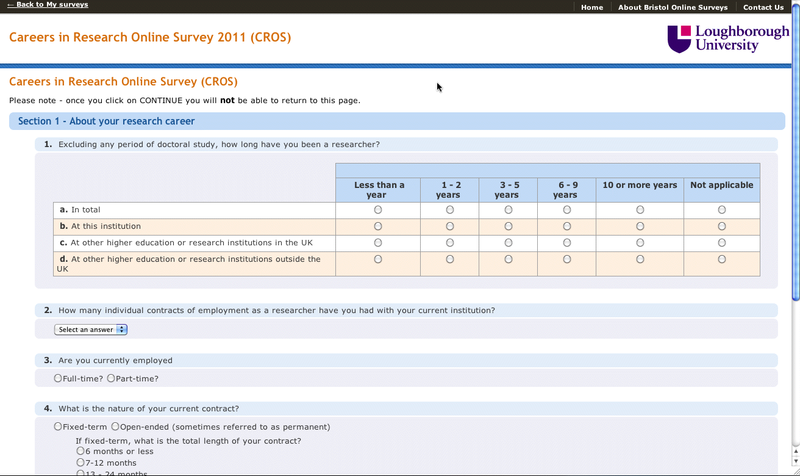 Still, what if you find yourself needing to set up a survey as part of your own research? 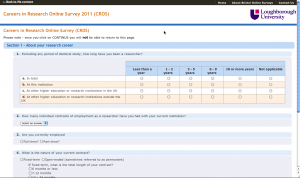 One option is to go online, and at Loughborough we have an account with Bristol Online Surveys (BOS) based at the University of Bristol. Surveys have Loughborough branding, are SSL encrypted, and come with a Loughborough-looking URL (www.surveys.lboro.ac.uk/yoursurveyname). 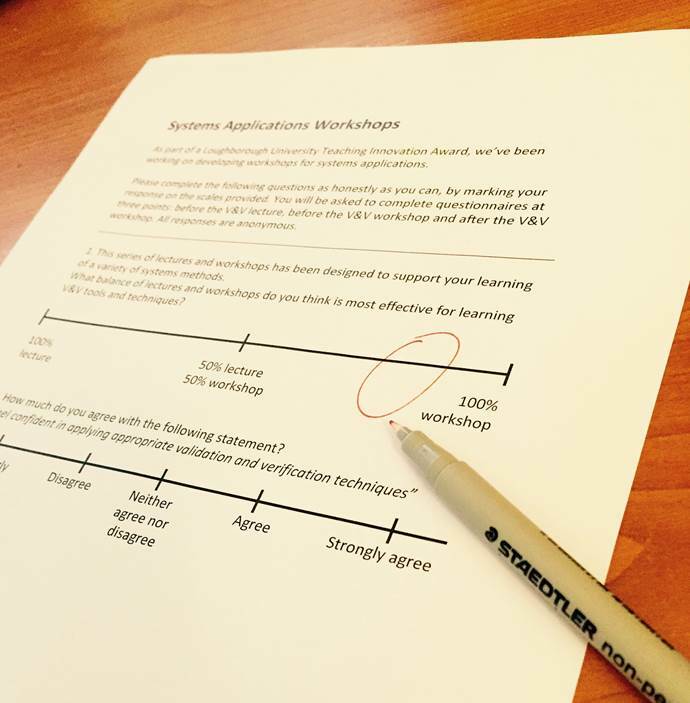 and it’s possible to create Likert Scales, grids, branched questions and more, so it’s a well-specified system. There are internationalisation options, although there are limitations with non-European character sets. 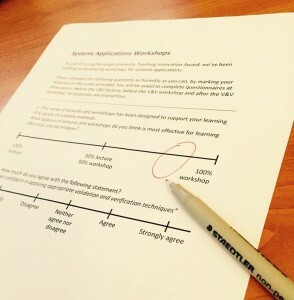 Sections and questions in BOS surveys are colour-coded to aid visual navigation. If you wish to set up an account, need help/advice setting up a survey or just want try the BOS demo, please contact learn@lboro.ac.uk and they’ll help you on your way.